A fab lab (fabrication laboratory) is a small-scale workshop offering (personal) digital fabrication. A fab lab is generally equipped with an array of flexible computer controlled tools that cover several different length scales and various materials, with the aim to make “almost anything” from jewellery to furniture, from models to computer hardware. Flexible manufacturing equipment within a fab lab can include: 3D printers; computer controlled machines for cutting, milling, turning materials; machines for making circuit boards for computers; and microprocessor and digital electronics design, assembly, and test stations. Fab labs can be good educational tools and provide many useful services for local businesses such as 3D printing. Some fab labs offer workplaces for individuals and small companies to use. Many act as incubators for new companies. 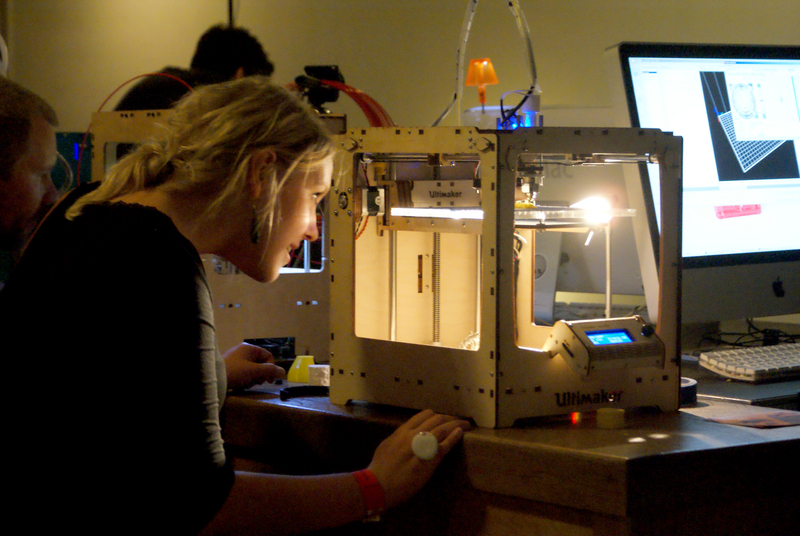 Fab labs can promote local innovation in new technology. Fab labs can play a vital role in promoting sustainable design and production by repairing items, and by using green materials and production techniques. Fab labs also allow certain products or components to be produced locally thus reducing transportation costs and avoiding the negative environmental impact of importing items from thousands of miles away.